Autumn Harvest: A Celebration of Halloween and the Macabre… brings together all the fun things that may have scared you as a kid about Halloween while taking those stories a step further by adding a new dimension that will horrify and sicken you as an adult. 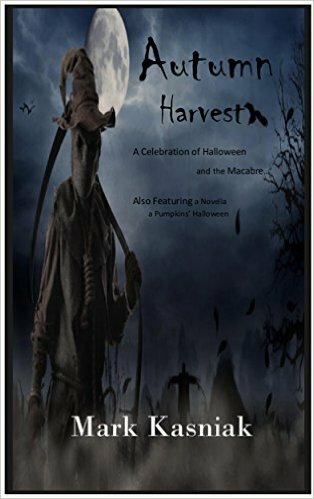 In this creepy and dark humored anthology consisting of a dozen or so short-fiction pieces and the Novella, “A Pumpkins’ Halloween” you will be catapulted back into the world you remember as a child where ghost, vampires, zombies, all kinds of boogeymen were real. You will also experience a new form of terror as an adult in reading these stories because many of the villains that these tales encompass could be easily pulled right out of the headlines.  The Express: Four friends go on a camping trip near the site of an old train wreck and get more than they’ve bargained for.  Damnedborough Radio 104.1 am: Rick addicted to collecting junk brings home a radio that broadcasts the voice of a demon.  Exit 34: A women recounts the experience of a time when she was young and on vacation with her family when they stopped off at a restaurant where you might end up on the menu.  A Halloween Story: A man at the end of his rope experiences a drunken Halloween.  Cold Mutton Soup: Mike and Jim discover resurrecting the dead may not be all that they thought it would be.  Glenn and Death: Loser in life, Glenn Oliver, finds himself accompanied by the grim reaper to a party in the afterlife that Glenn may not be ready for.  A Pumpkins’ Halloween: A novella which focuses on five jack-o-lanterns taking turns telling scary stories on Halloween as they watch passerby trick-or-treaters shuffle past them on their fun-filled evening. 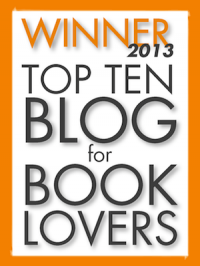 And, many more stories… thirteen in all.